How do you know a neighbourhood is becoming more gentrified? When a gourmet deli/butcher sets up shop. Open since July 2008, Huber’s is more than just a meat seller, they’ve styled this outlet along a more gourmet angle, selling imported dairy products, frozen seafood, salads, fresh breads and even fondue pots. 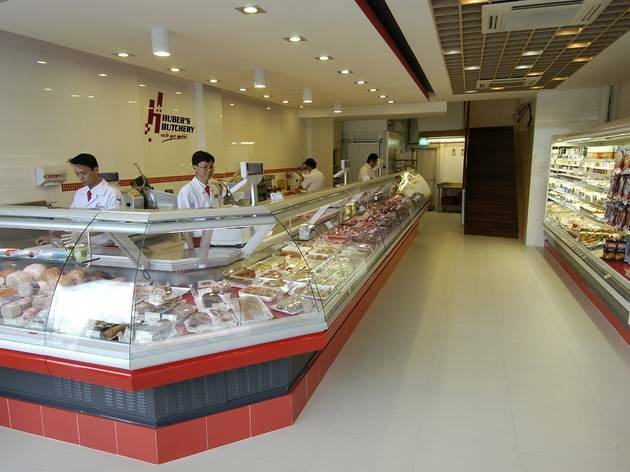 Beyond being the purveyors of prime cuts of meat – popular items include the Australian Stockyard Angus grain-fed beef, lamb chops and sausages – the staff can also attend to any of your portion cutting, marinating, roasting, vacuum packing needs. 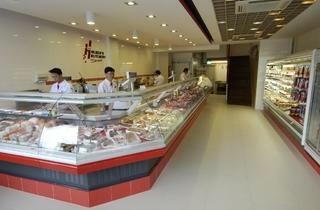 And as all the butchers are former cooks and chefs, you know your grub is safe in their hands.